Bombardier Aerospace (Montreal) announced today that Horizon Air Industries, Inc. (Horizon Air) (Alaska Horizon) (Seattle/Tacoma) has signed a firm purchase agreement for one Bombardier DHC-8-402 (marketed as the Q400 NextGen) turboprop airliner. The airline retains its options on another seven Q400 NextGen aircraft as announced previously. Additionally, Bombardier and Horizon Air confirmed they have signed a five-year heavy maintenance agreement whereby Bombardier will perform heavy maintenance tasks for the airline’s fleet of 52 Q400 aircraft at Bombardier’s service centre in Tucson, Arizona. Based on the list price of the Q400 NextGen aircraft, the aircraft agreement is valued at approximately $32.6 million US. Established in 1981, Horizon Air was acquired in 1986 by Alaska Air Group, Inc., the parent company of Alaska Airlines. At its start, the airline operated two aircraft and served three destinations in Washington state. Today, Horizon flies 51 76-seat Q400 aircraft on behalf of Alaska Airlines and serves 43 cities in the western United States, Canada and Mexico. Copyright Photo: Michael B. Ing/AirlinersGallery.com. Bombardier DHC-8-402 (Q400) N407QX (msn 4049) in the special University of Oregon Ducks livery prepares to land at Los Angeles International Airport (LAX). 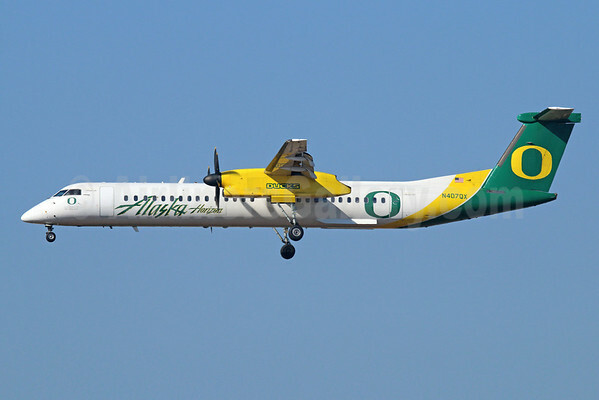 This entry was posted in Horizon Air and tagged 4049, Alaska Airlines, Alaska Horizon, Bombardier, bombardier aerospace, Bombardier DHC-8, Bombardier DHC-8-400, Bombardier Q400, DHC-8, DHC-8-400, DHC-8-402, Horizon Air, Horizon Air Industries, Inc., LAX, Los Angeles, N407QX, Oregon Ducks, Q400, University of Oregon on July 15, 2014 by Bruce Drum. 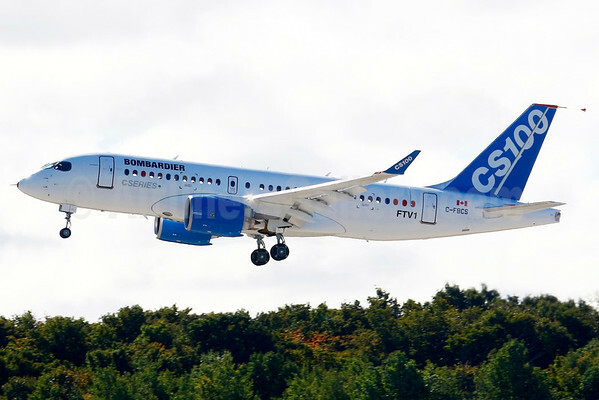 Bombardier Aerospace announced today that Zhejiang Loong Airlines Co., Ltd. (Loongair) (Hangzhou) has signed a Letter of Intent to acquire 20 CS100 airliners. The operator, based in Hangzhou, the capital city of Zhejiang province, China began domestic service in 2013. Based on the list price for the CS100 aircraft, a firm order for 20 CS100 aircraft would be valued at approximately $1.28 billion US. This entry was posted in Loongair and tagged Bombardier, bombardier aerospace, Bombardier CS100, CS100, Hangzhou, Letter of Intent, Loongair, Zhejiang Loong Airlines Co., Zhejiang province on July 14, 2014 by Bruce Drum. 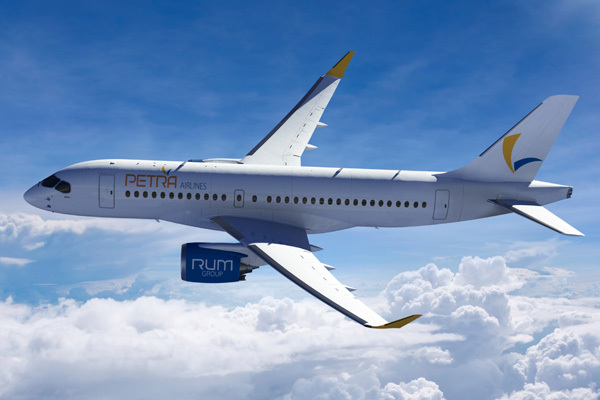 Bombardier Aerospace announced today that Petra Airlines Ltd. (Amman, Jordan) has signed a Letter Of Intent (LOI) to acquire up to four CS100 and CS300 airliners. Should the LOI be converted to a firm purchase agreement, the transaction would include two firm-ordered CS100 aircraft and two options for CS300 aircraft. Based on list prices, a firm order for two CS100 aircraft would be valued at approximately $136.5 million US, increasing to $298.4 million if the two options for CS300 aircraft are converted to firm orders. Petra Airlines, based at Amman’s Queen Alia International Airport, began as a charter carrier and became a scheduled airline in 2012. It serves destinations in Europe, the Middle East and North Africa. This entry was posted in Petra Airlines and tagged Amman, Bombardier, bombardier aerospace, Bombardier CS100, Bombardier CS300, CS100, CS300, Jordan, Petra Airlines, Petra Airlines Ltd., Queen Alia International Airport on July 14, 2014 by Bruce Drum. Bombardier Aerospace announced today that Air Baltic Corporation AS (airBaltic) (Riga) is the previously announced undisclosed customer that had converted three option aircraft to firm on the original order contract in February 2014. The original order for 10 firm airliners with options for 10 more was finalized on December 20, 2012. Based on the list price of the CS300 airliner, the three firm aircraft order is valued at approximately $228 million US. 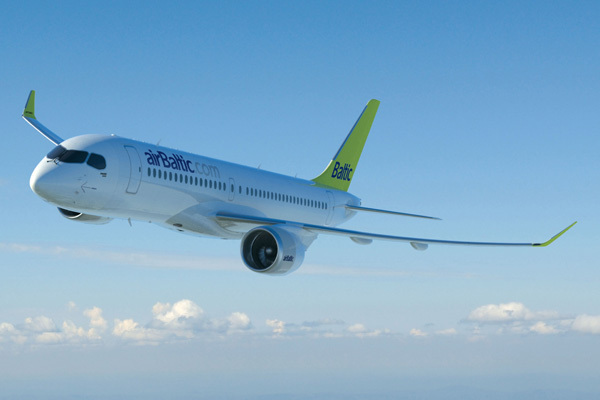 Airbaltic now has 13 Bombardier CS300s on order. Established in 1995, airBaltic is the main carrier in the Baltic region and operates direct flights out of Riga, Latvia and serves 60 destinations spanning Europe, Scandinavia, Russia, Commonwealth of Independent States and the Middle East with a fleet of 25 aircraft. This entry was posted in airBaltic and tagged Air Baltic Corporation AS, airBaltic, Bombardier, bombardier aerospace, Bombardier CS300, bombardier cseries, CS300, Riga on July 14, 2014 by Bruce Drum. 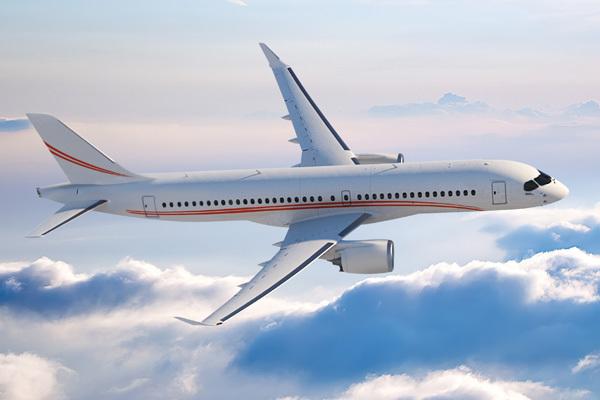 Bombardier Aerospace (Montreal) announced today that Falcon Aviation Services LLC (Abu Dhabi) has signed a firm purchase agreement for two CS300 jetliners. The transaction is a conversion of the Letter of Intent (LOI) to acquire one CS300 aircraft and one option that was announced on February 26, 2014. When the LOI was announced, Falcon Aviation Services became the first customer for CSeries aircraft in the United Arab Emirates. Based on the list price of the CS300 aircraft, the contract is valued at approximately $153.6 million US. Falcon Aviation Services is based at Al Bateen Executive Airport and operates a fleet of corporate jets conducting VIP charter flights, as well as a fleet of helicopters serving the offshore oil and gas industry. The company also conducts search and rescue, aircraft management, maintenance, repair and overhaul, as well as consulting operations. The company recently ordered two Bombardier Q400 NextGen turboprop aircraft for its fleet. As of today, Bombardier has booked orders and commitments for 471 CSeries aircraft, which include firm orders for 203 CSeries airliners. This entry was posted in Falcon Aviation Services and tagged Al Bateen Executive Airport, Bombardier, bombardier aerospace, Bombardier CS300, CS300, CSeries, Falcon Aviation Services on July 14, 2014 by Bruce Drum. Bombardier Aerospace (Montreal-Mirabel) has delivered the first of 30 enhanced CRJ900 NextGen aircraft to American Airlines Group Inc. (Dallas/Fort Worth). The aircraft will be operated by American Airlines Group wholly owned subsidiary PSA Airlines, Inc. (Dayton) under the American Eagle brand. The purchase agreement for the aircraft, which was announced in December 2013, also included options on an additional 40 CRJ900 NextGen aircraft. The pictured Bombardier CRJ900 (CL-600-2D24) N547NN (msn 15317) was delivered on June 5. PSA Airlines currently operates as an US Airways Express operator. Previously the aircraft was unveiled to American Airlines employees and PSA Airlines employees at Dallas/Fort Worth International Airport and in Dayton, Ohio. American Airlines is the first customer to take delivery of the enhanced CRJ900 NextGen regional jet, which provides up to 5.5 per cent fuel burn reduction over earlier-generation CRJ900 aircraft. 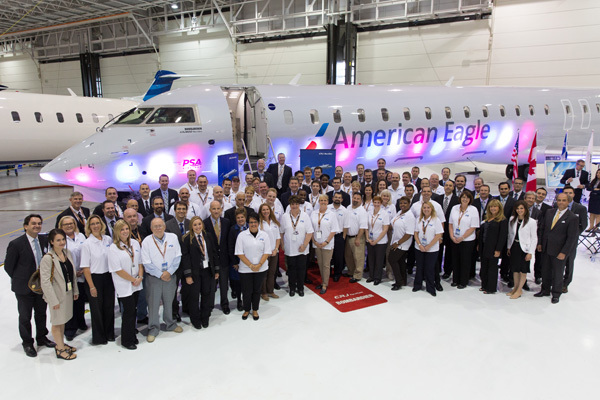 The delivery ceremony at Bombardier’s Mirabel, Québec, facility was attended by senior executives and employees of American Airlines, PSA Airlines, Bombardier and major suppliers to the CRJ Series regional jet program. As of March 31, 2014, Bombardier had recorded firm orders for 1,817 CRJ Series aircraft, including 343 CRJ900 and CRJ900 NextGen aircraft. Worldwide, CRJ Series aircraft are in service with more than 60 airlines and more than 30 customers operate corporate variants of the aircraft. The aircraft are operating in more than 50 countries on six continents, and on average, a CRJ aircraft takes off every 10 seconds somewhere in the world. CRJ Series aircraft have transported more than 1.4 billion passengers and have logged more than 39 million flight hours and over 32 million takeoffs and landings. This entry was posted in American Airlines Group, American Eagle, American Eagle-PSA Airlines (2nd), PSA Airlines (2nd) and tagged 15317, American Airlines, American Airlines Group, American Airlines Group Inc., American Eagle, Bombardier, bombardier aerospace, Bombardier CL-600-2D24, Bombardier CRJ900, CL-600-2D24, CRJ900, N547NN, PSA Airlines, PSA Airlines (2nd) on June 7, 2014 by Bruce Drum.